My favorite cook on Cooks' Corner. We love you and your fabulous food! Can't get to a TV? Click here to see Oonagh live on WMUR-TV via the Internet! 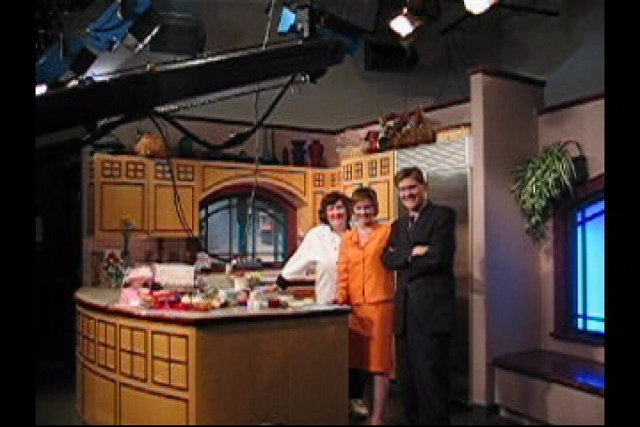 I make regular appearances on ABC WMUR-TV Channel 9's Cooks' Corner, and provide the recipe for the subscription newsletter. For your convenience, the recipe with more advice, will also appear here a few days later. Don't worry that the recipes will disappear - they will be archived here by date. Feel free to browse and enjoy these recipes. They're fast loading and printer friendly!